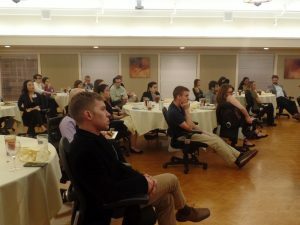 For ACRE’s fourth annual colloquium, the event’s theme was “Political Ignorance in A Democracy: Consequences and Antidotes.” Twenty seven students and fourteen faculty from eight universities came to read and discuss Ilya Somin’s Democracy and Political Ignorance: Why Small Government is Smarter as well as additional articles. 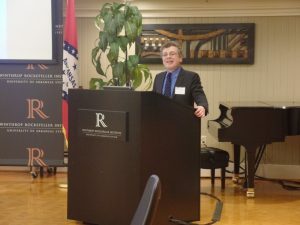 Participants learned about the status of political knowledge in Arkansas among college students and the general public as well as focusing on policy issues that economists generally agree on like the benefits of free trade and problems with subsidies. Participants at the fourth annual ACRE Colloquium. Professor Ilya Somin gave a keynote address on rational ignorance and foot voting. 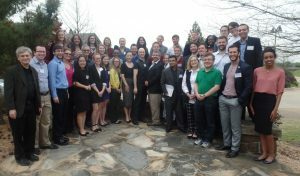 Students and faculty from across the state of Arkansas came together to discuss the status of political and economic knowledge in Arkansas.